This is a solid 14k. gold 28x28mm. 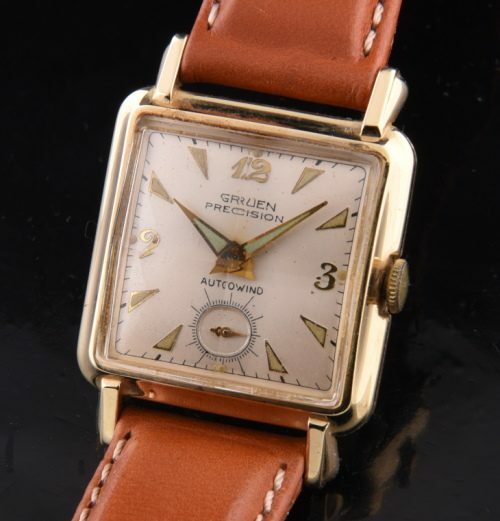 vintage GRUEN automatic winding watch dating to 1951. The dial is original, as is the faceted glass crystal which (amazingly) is still present. The automatic winding GRUEN movement was just cleaned and is accurate. I love this dial. Normally, we find these as manual winding watches. This one is an automatic.